BRITISH Curling is the organisation that manages and develops elite curling in Britain. We are responsible for delivering an elite performance programme for the sport that will ensure British curlers can achieve their potential and, ultimately, deliver medals in Olympic and Paralympic competition. This would be delivered through engaging the services of a part-time media consultant. Part-time is an on average two days a week across the year. Payment for services would be £12-£15K per annum, dependent on experience and ability. The contract initially would be to Sept 2015 to June 2016 with a view to it being extended to June 2018 to incorporate the Olympic and Paralympic Games. Interested persons should contact Graeme Thompson, performance director, British Curling by Friday 21st August 2014 at Graeme.thompson@sisport.com. 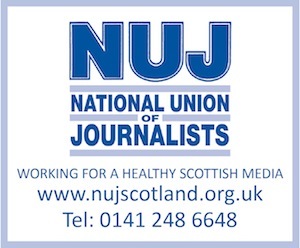 This vacancy was first uploaded on to allmediascotland.com on July 27 2015.